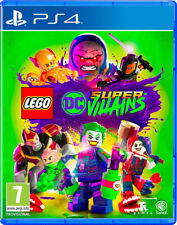 LEGO Marvel Super Heroes 2 is an epic adventure and sequel to the smash hit, LEGO Marvel Super Heroes. We pride ourselves on our reputation for ensuring all orders are quickly processed and despatched. LEGO Star Wars™: The Force Awakens marks the triumphant. Star Wars: The Force Awakens, retold through the clever and witty. before Star Wars: The Force Awakens through exclusive new. LEGO Star Wars experience that takes fans deeper into the new. 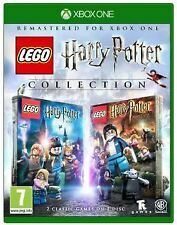 LEGO Harry Potter Collection XBox One Years 1-7. In stock. Title: LEGO Batman 3: Beyond Gotham. United Kingdom. 2DS CONSOLES. 3DS CONSOLES. SWITCH ACCESSORIES. SWITCH CONSOLES. LEGO Marvel Super Heroes 2 is an epic adventure and sequel to the smash hit, LEGO Marvel Super Heroes. LEGO Marvel Superheroes 2. Super Heroes and Super Villains. XBOX ONE CONSOLES. XBOX ONE ACCESSORIES. Manufacturer Part Number: 5051892191883. We pride ourselves on our reputation for ensuring all orders are quickly processed and despatched. Join the Chase! We pride ourselves on our reputation for ensuring all orders are quickly processed and despatched. Manufacturer Part Number: 5051892203937. Collection station availablePlatform: Sony PlayStation 4Rating: PEGI 7Publisher: Warner Bros. Rating: PEGI 7Publisher: Warner Bros.
LEGO Harry Potter: Years 1-4 is based on the first four books and films-Harry Potter and the Philosophers stone, Harry Potter and the Chamber of Secrets, Harry Potter and the Prisoner of Azkaban and Harry Potter and the Goblet of Fire -allowing fans to experience Harry’s first four years at Hogwarts School of Witchcraft and Wizardry in full LEGO form. 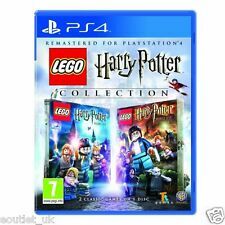 Lego Harry Potter Collection for Nintendo Switch. Condition is Brand New and Sealed. Dispatched with Royal Mail 1st Class. In LEGO Star Wars: The Force Awakens, players relive the epic action from the blockbuster film Star Wars: The Force Awakens, retold through the clever and witty LEGO lens. LEGO Star Wars The Force Awakens XBOX ONE. Tom Clancy's: The Division. The Elder Scrolls Online: Morrowind. LEGO Marvel Super Heroes 2 (Nintendo Switch). LEGO Marvel Super Heroes Xbox One. Perform new and powerful moves as "BIG-fig" characters like Hulk and Abomination. Leave a path of destruction as you smash through LEGO walls and throw cars using hyper strength. With more than 90 characters inspired by the film and 15 exciting levels, you can build and adventure like never before. 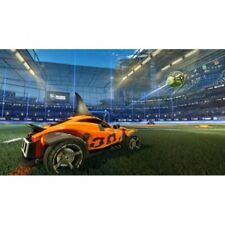 Format: Xbox One. United Kingdom. LEGO HARRY POTTER. Players have the freedom to select from over 100 playable characters including Harry Potter, Ron Weasley and Hermione Granger, as well as many other fan favourites. Experience the wonder of Hogwarts School of Witchcraft and Wizardry: attend lessons,interact with the professors, mix potions, fly on broomsticks and complete tasks to collect LEGO studs. To do so, they must master the art of Ninjagility which allows them to traverse Ninjago by wall-running, high-jumping and battling the foes of Ninjago to rank up and upgrade the ninja’s combat skills. Rayman Legends ~ XBox 360 (in Great Condition). Condition is Very Good. Dispatched with Royal Mail 1st Class Large Letter. Nintendo Switch. Nintendo 3DS. SWITCH CONSOLES. SWITCH ACCESSORIES. The Flash Wheels. The Flash Player Banner. XBOX ONE CONSOLES. ONLY£26.85. LEGO Marvel’s Avengers: Avengers Assemble! Play as the most powerful super heroes in their quest to save humanity. 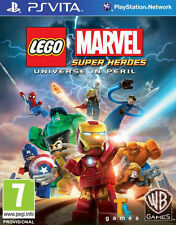 Join the LEGO Marvel’s Avengers team and play as the most powerful Super Heroes in their quest to save the world. LEGO Marvel Super Heroes 2 (Nintendo Switch) . Condition is Like New. Dispatched with Royal Mail 1st Class Large Letter.